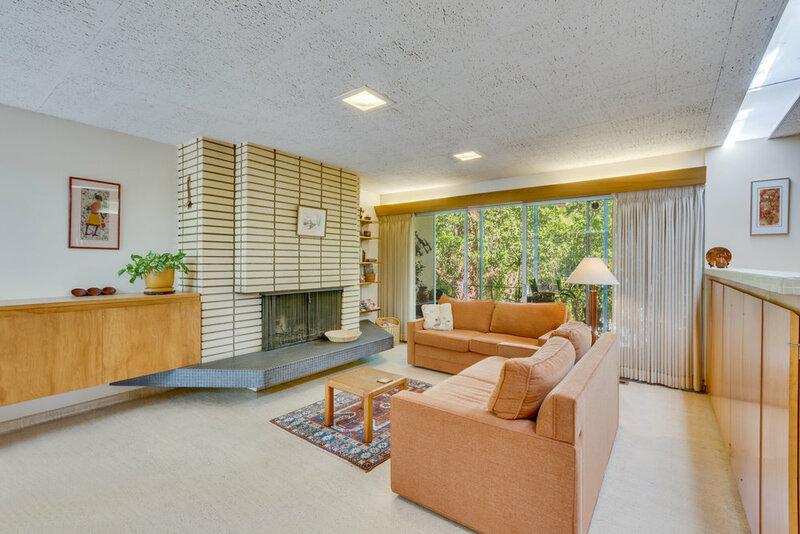 This stunning Richard Neutra inspired Post and Beam was built by Award Winning Architect Robert Kennard who worked with both Paul Williams and Richard Neutra, creating more than 700 projects in Los Angeles, including the Historic Zeiger Residence in Laurel Canyon. 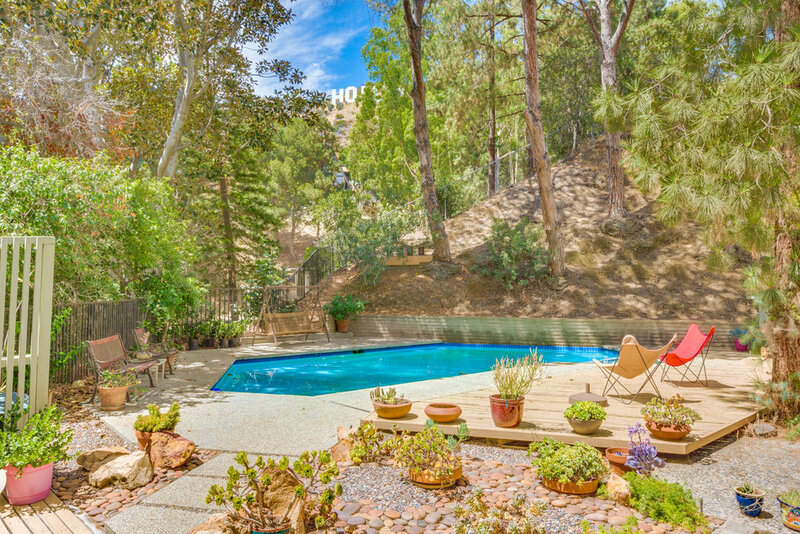 It sits on almost half an acre of beautiful land in Beachwood Canyon, in sight of the Hollywood sign. 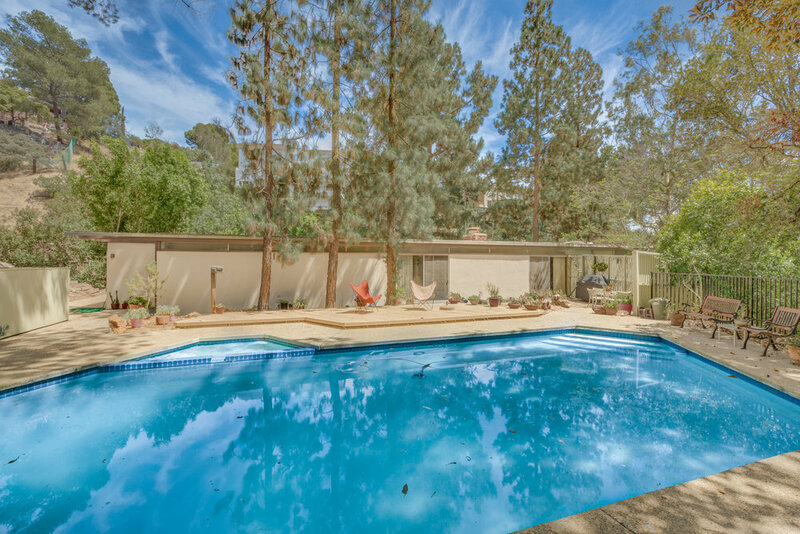 This residence features walls of glass, coved lighting, skylights, plus stunning indoor-outdoor access with City views to the ocean, a lovely pool and flat yard with mature trees, decks and patio areas, and 6 car parking. There are 4 bedrooms and 3 baths with built in cabinets of walnut and birch in original condition, that look like new. There is a spacious living room with an original decorative stacked stone fireplace. The kitchen features the amazing original built-ins, and even the built in mixer works! Enjoy the verdant views and unsurpassed tranquility. An architectural dream come true.